and lyrical prowness is ideally suited. Born and raised in California, it is said Franks purchased his guitar for around $30.00 with 6 free lessons thrown in - the only formal music lessons he ever received. Sounds more Rock'n'Roll to us than Jazz. In a multi decade successful career, Franks has recorded over 15 albums and guested with the likes of Diana Krall, Ringo Starr, Pati Labelle and Shirley Bassey. 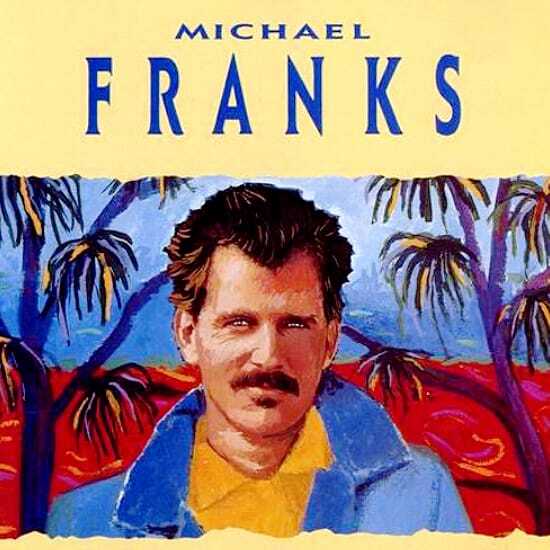 Popular related genres to Michael Franks include Hits Of The 1980's, Classic & Modern R&b, Hits Of The 1970's, Duets Midi Backing Tracks, Hits Of The 2000's and Hits Of The 1990's. Michael Franks MIDI Files, MIDI Karaoke MP3 professional backing tracks and Lyrics produced by Hit Trax. Click on any title to view song details like tempo, key, BPM, length and a preview Michael Franks video. View and print Michael Franks song lyrics which include MIDI Instrument track listing (* where available) all from the song page. Is your favourite Michael Franks MIDI Karaoke File or MP3 backing track missing? If you need a new backing track that’s unavailable at the current time, click in the Contact button at the top of the page and request the backing track. If the song is current and in the charts, chances are we may produce it at normal catalogue prices. All Michael Franks song files are AMCOS Licensed and royalty paid. © 2000 - 2019 Hit Trax (Australia, USA, UK, Canada and Europe).